A fashion celebrity is coming to town! 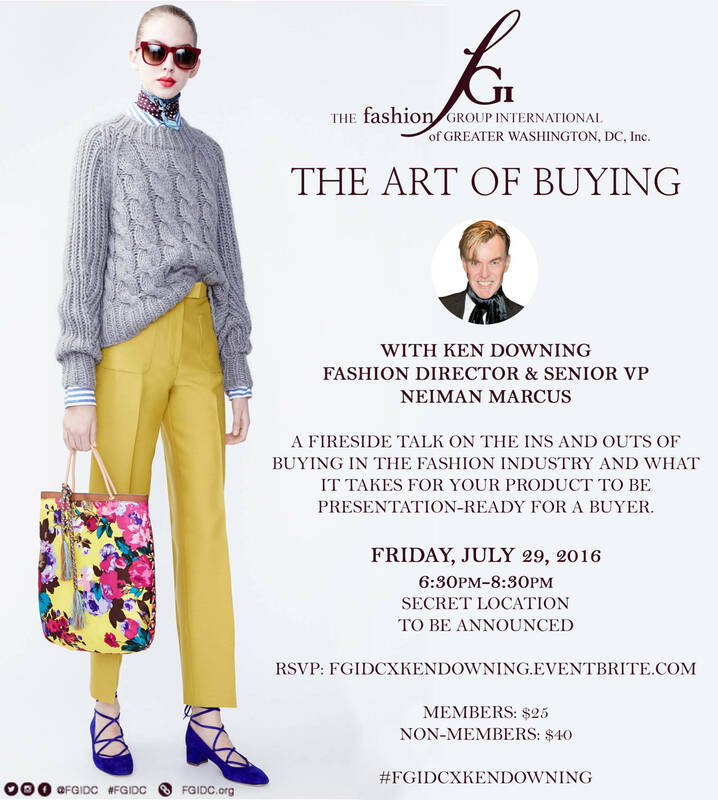 Ken Downing, who serves as a Senior VP and Fashion Director at Neiman Marcus, will be in DC Friday, July 29th. The famed tastemaker oversees women’s and men’s trends for Neiman Marcus, manages a team of fashion editors in the company’s New York office, and directs 200 merchants on what is fashionable and what to buy for each season. FGIDC Regional Director Elaine Mensah will lead an intimate discussion on the ins and outs of buying in the fashion industry. Ken Downing joined Neiman Marcus Stores in 1990 in the Visual department of the Beverly Hills store. In 1992 he advanced to Visual Manager in the same store and was later promoted to Director of Visual Planning and Presentation for all stores. Ken Downing assumed his previous position of VP of Public Relations, in 1997. Prior to joining Neiman Marcus, Mr. Downing worked in visual merchandising at I. Magnin. He is a graduate of Seattle Central College and The Fashion Institute of Technology and has a degree in apparel design.